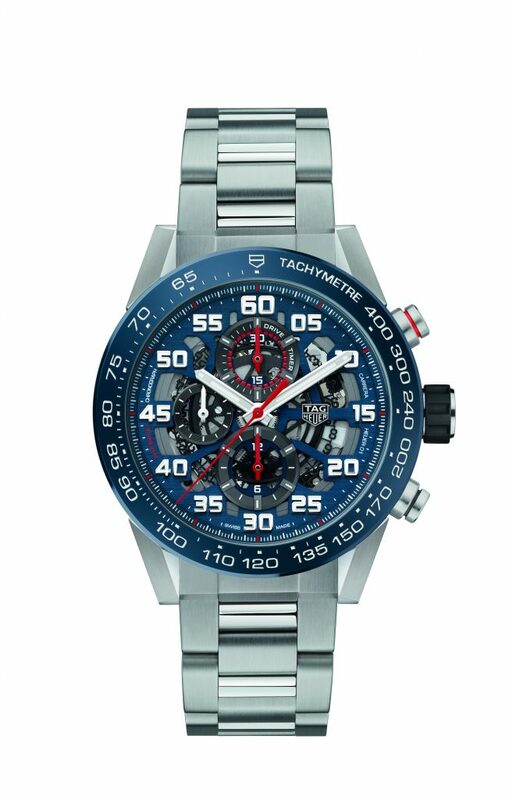 This TAG Heuer Carrera Calibre Heuer-01 Red Bull Special Edition men’s watch celebrates TAG Heuer, the Red Bull Racing Team and their high-powered racing spirits. Heavily inspired by car racing, the TAG Heuer Carrera collection is the classic yet contemporary sports watch. Fastened with a brushed and polished steel bracelet, this impressive watch features a 45mm steel brushed case adorned with a blue ceramic bezel with a tachymeter scale. At 45mm this is quite the statement piece.